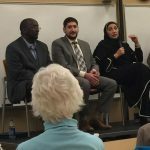 Somalia Rebuild Organization would like to thank the University of MN Rochester for hosting a panel of discussions for Muslims facing possible registry. 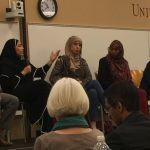 The purpose of the event was to provide a platform for meaningful dialogue. 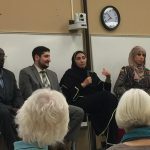 In addition the event showed the level of diversity within the community and to build a bridge between Muslims, UMR and the greater community. 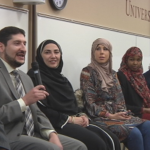 The event was designed to help the community better discuss the many issues Muslims face as result of current events. These events included Trumps decision to possibly register all Muslim people in the United States. The fear and level of hate crimes against Muslims citizens could have been influenced by the election results. Dr. James Ford was the moderator for the event. 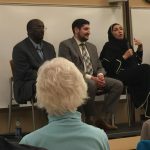 The event had more than 100 people and they had many questions regarding Islam. The event was held on November, 17th, 2016. The community members of the panel included the names mentioned below.